Just for fun I wanted to see how many Shatz targets I could get in one game. This was the third attempt. Open challenge if anyone wants to top it! Otherwise I doubt I’ll be doing this again. Staring at the lower third for that long started blurring my vision after a while. Woooooow. This reminds me of my attempts to get the 20 Dead End bonus on Twilight. I’ll give this a try. That target is pretty valuable! There have definitely been times in competition where I needed it but didn’t have the confidence to take the shot. Trying to get more comfortable picking it off when it matters, so hey, why not drill it for an hour? The scariest part, at least on mine, is the made target that directs clean to the right outlane. It reminds me of some Metallicas where successful ramp to piston combos end up in the left outlane. It reminds me of some Metallicas where successful ramp to piston combos end up in the left outlane. Yeah. I’ve felt more comfortable doing it on Whirlwind than on Maiden because the ball flies out all too well. I still would not feel very comfortable doing that in competition. Well I can say that out of 42, only 2 of them went directly to the right outane for drains. I’ll play those odds! I thought this was pretty much all Metallicas. Insane no. of ?s, I tried this a few months back and could only get up to 7. Maybe it’s in my mind but I find shatzing really hard with superbands on. I always focus on the ‘sub highscores’ when I get a new machine, just to see how high I can push them. 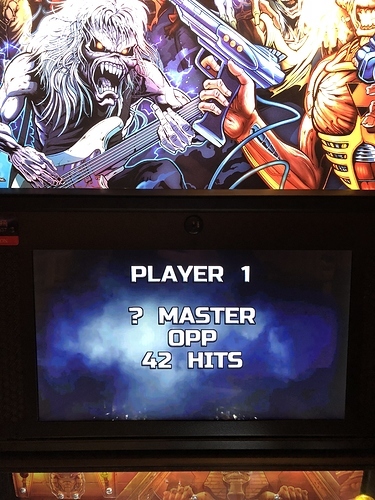 That Cyborg MB is more than my highest score. How many stages of it did you play? Wow! So safe to say you’ve got that shot pretty dialed. ha! Same. 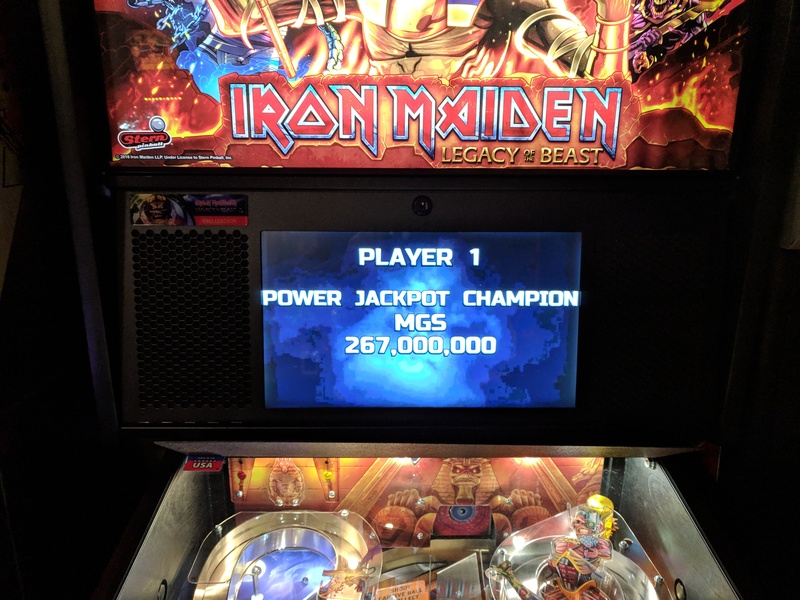 I love when machines offer more than just the standard high score lists. It gives me interesting things to try for. Its also a good way to discover different scoring strategies if you don’t ‘follow the crowd’ with the usual strategy. I play any number of games in comp (XM, WPT, GoT, IM, IMdn, SM, TWD, off the top of my head) following a completely different strategy to most, who usually try and copy whatever tutorial theyve seen online - usually shown by someone who is more skillful than them. A strategy that works for an A-list player may not be the best strategy for a B-list player. 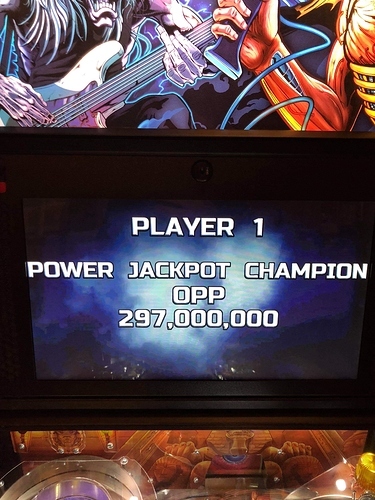 What’s the highest Power Jackpot anyone’s gotten? Here’s mine. 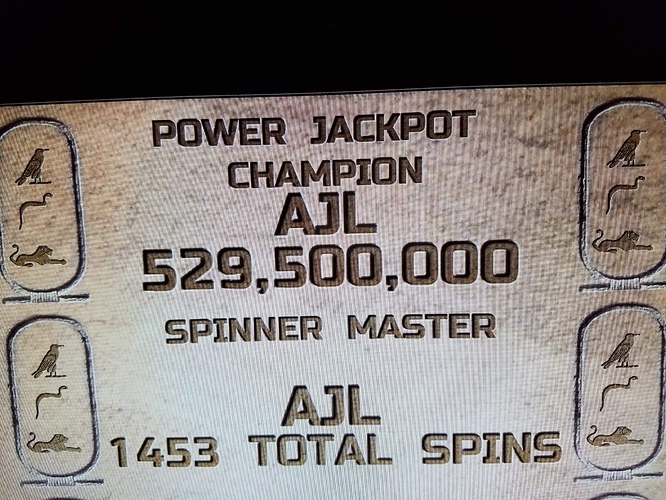 Is there somewhere we can see all the ways to raise the multiplier on the Power Jackpot? It’s often higher than I expect and I’m not sure why. 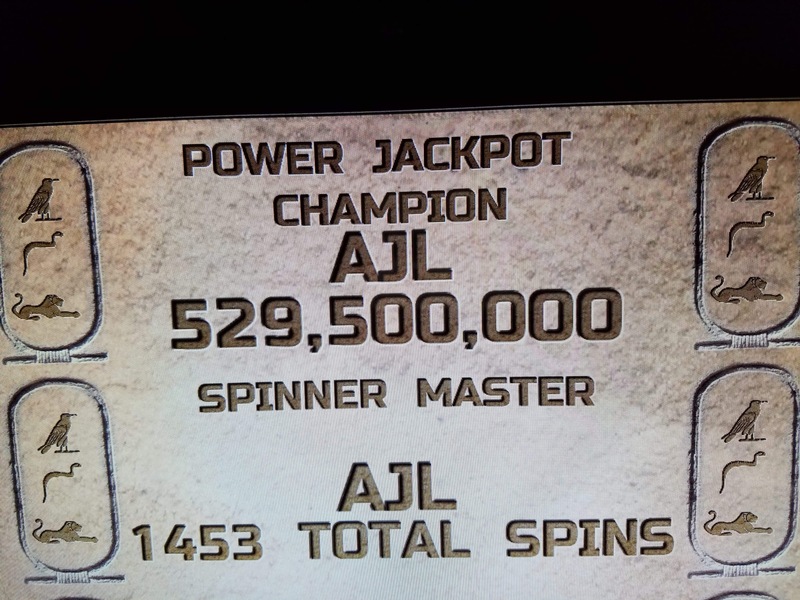 Each power feature you complete adds a multiplier to the power jackpot. Resets back to 1x when collected. Definitely. But on my to way to cyborg, I’m guessing I multiply the PJP 7-10 times…not just five. How else does it happen? Sorry, thought you were asking more generally. Tomb award 8 increases the multiplier by 5x. As far as I know the highest you can get it without one those is 6x, if you manage to stack completions of all the power features.